Choosing and financing your next vehicle can be a stressful process, but it doesn’t have to be. Thanks to the rotating new vehicle specials at our dealership, you can find a model you love at a price that doesn’t compromise your budget. If you have any questions about our exclusive offers, just contact us and we’ll be happy to help! 2018 Chevrolet 4500, Knapheide Box Van Body 16 Foot Dry Freight 96"w x 84" t CA 127.5. Includes 14 Foot Ramp and E Track, FRP Front Wall, Aluminum Roof Sheet, LED Dome Light with Switch, White Alum Side Sheets, Pine Wood Floor, Translucent Roof Upgrade. Total MSRP with upfit $58,331. Thys Price is over $13k below MSRP! We have two identical units available, this one and one more. 1WT 4500 LCF Gas 150 WB Reg with Wide Load Heated Mirrors, Fire Extinguisher, Back Up Alarm, Seat Cover Protector and 6.0 L V8 Engine. 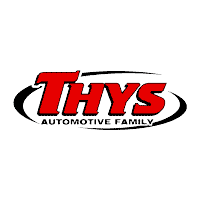 Contact Joel at Thys Chevrolet - Blairstown for more information. Crystal Metallic 2019 Ram 1500 Rebel 4WD 8-Speed Automatic HEMI 5.7L V8 Multi Displacement VVT 112" Touchscreen, 9 Amplified Speakers w/Subwoofer, Apple CarPlay Capable, Class IV Receiver Hitch, Electronic Locking Rear Differential, Exterior Mirrors w/Turn Signals, Front Heated Seats, Google Android Auto, GPS Navigation, Heated Steering Wheel, Hill Descent Control, Level 2 Equipment Group, Park-Sense Front & Rear Park Assist, Powder-Coated Front Bumper, Power Adjustable Pedals, Power Folding Exterior Mirrors, Quick Order Package 25W Rebel, Radio: Uconnect 4C Nav w/12" Display, Rain-Sensing Windshield Wipers, Rear Underseat Compartment Storage, Rear Window Defroster, Rebel Instrument Cluster, Remote Proximity Keyless Entry, Sport Performance Hood, Universal Garage Door Opener, USB Mobile Projection Thys Price includes our discount and common incentives that most customers can qualify for. In some cases, not all incentives will apply to all customers. In other cases, there may be additional incentives to improve the price. See dealer for details. After you’ve browsed our new vehicle specials, it’s time to visit us for a test drive! If you didn’t find a model you love in our current selection of specials but you just can’t wait to get your new car, we encourage you to also peruse our new vehicle inventory. The payment calculator is a great tool to help pick something within your budget. Our friendly sales team members are standing by at each of our three Eastern Iowa locations, ready to help you drive home today in your next car, truck, or SUV!